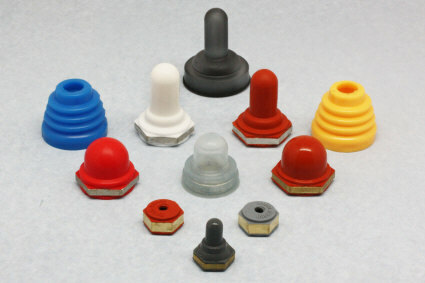 Newark, NJ – ZāGO Manufacturing Company is now offering sealing switch boots in an infinite number of colors. All of ZāGO’s toggle, pushbutton and rotary switch covers can now be supplied to match each customer’s exact color specifications. Whether a customer is seeking to match a panel cover or to differentiate switch function, ZāGO will use its custom compounding capability to manufacture rubber compounds in any color required including all standard Pantone colors, Federal Standard colors, neons, collegiate colors, metallic and pearlescent, and glow-in-the-dark as well as UV glow effects. 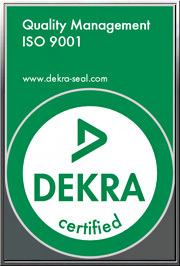 In addition, all are all designed in accordance with MIL-B-5423 and are RoHS compliant. Building on years of sealing expertise, ZāGO’s switch boot color matching capabilities are presented in its new website www.switchboots.com . The website presents a wide range of materials relating to ZāGO’s switchboot production capabilities including detailed information about its manufacturing process, rubber molding, tooling and engineering expertise. Easy to use charts and drawings allow customers to find switchboots to match their exact specifications and needs. In addition, the user-friendly website offers a streamlined ordering process allowing customers to order switchboots on-line directly from the website. For technical information, please visit our website at www.switchboots.com or contact us at: ZāGO Manufacturing Company, Inc., 21 E. Runyon Street, Newark, NJ 07114. (t)973-643-6700, (f) 973-643-4433 or e-mail us at info@Zago.com. ZāGO Manufacturing Company produces its sealing products a state-of-the-art production facility in Newark, New Jersey in close proximity to Newark Airport, the Port of Newark and all of New Jersey’s major transportation and mass transit routes.